One of the reasons it is so hard to start the divorce process is the fact that the law uses language that nobody else uses, and it’s impossible to understand. Here are some terms you are going to encounter as you start researching this process. Best interests of the child – In making decisions about minor children, the judge evaluates 23 factors to determine what is in the best interests of the child. All rulings that concern children are governed completely by what is best for the child. Collaborative Divorce – A process by which parties and their attorneys agree at the outset not to litigate their case, but instead to work toward an agreed upon resolution of the issues. Powerful incentives to agree are built into the collaborative process. It’s a kinder, gentler, divorce. Discovery – the exchange of information, by way of documents, written questions, oral questions, and admissions. You will have the right to obtain years of tax returns, bank statements, credit card statements and other documents pertinent to your case. Dissolution of Marriage – it means divorce. At the end of the process, you will get a Final Judgment that declares your marriage dissolved. Equitable Distribution – During your marriage, you and your spouse acquired assets and accumulated debt. You earned salaries, and invested in retirement plans. All of those assets and liabilities will be distributed between you during the divorce, according to the principles of equitable distribution. Notice the word is not equal. It is equitable, which basically means fair. There is a presumption that an equal distribution is a fair distribution, but that presumption can be overcome by certain facts, and one spouse or the other may end up with more of the assets, or more of the liabilities. Mediation – A process by which you and your spouse, and your attorneys if you have them, meet with a family mediator to try and reach settlement. 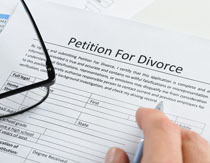 Your case will be sent to mediation early in the divorce process, unless you reach an agreement on your own. Parental Responsibility – In Florida, it is presumed that it is in the best interests of the children for both parents to share parental responsibility, i.e. the right to make decisions about your child’s welfare, including education, health care, religion, and extracurricular activitites. If you can prove to the judge that shared parental responsibility is not in the best interests of the children, you may be able to get sole parental responsibility over all such decisions, or decision-making authority when the parents cannot agree. Shared parental responsibility is the most common outcome. Parenting Plan – Every case involving minor children ends up with a detailed parenting plan, either agreed to by the parents or imposed by the judge. The parenting plan includes provisions for communication between parents, communication between the child and the non-timesharing parent, the right to information and records from third parties, how extra-curricular activities are going to be decided upon and who pays for them, whether or not out of state or out of country travel is permitted, who has parental responsibility, and the timesharing schedule. Find a blank parenting plan here www.flcourts.org/core/fileparse.php/533/urit/995a.pdf . Print it out and read through it. It will help you start thinking about how you and your spouse are going to co-parent after the divorce. Spousal support – it’s alimony, and it can be temporary, permanent, durational, bridge the gap, rehabilitative and paid periodically or in a lump sum. It’s under attack. Non-earning or lower earning spouses can get it if they meet the statutory criteria. However, my advice to any spouse who is quitting a job for any reason that has to do with the marriage, such as to take care of young children, is to insist on a marital agreement that calls for child support and alimony to be paid in the event of a divorce. 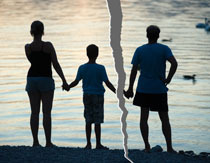 Timesharing – Forget about custody. Forget about visitation. You will not find those terms in the Florida statute or in your dissolution paperwork. What you will have is a timesharing schedule that describes your children’s schedule, in detail. Every day of the year will be accounted for in terms of which parent the minor children will be spending the night with. Holidays, down to the hour of the exchange time, will be accounted for, as will three day weekends and school breaks. Vacation time, too.